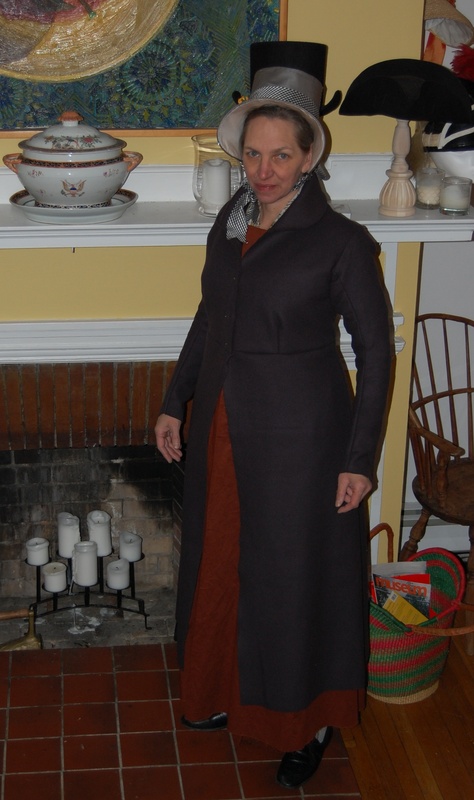 When not working on the Unified Theory of Living History,* I’ve been sewing for the February program in Newport. You know about the skritchy brown gown, and then there was the Great Coat Obsession. Well, here it is, in unpressed previews. The photographer and I had barely achieved emotional détente by the time these were taken after a foray out of doors in the late afternoon, but we survived on willpower and the promise of strong beer and here you are. 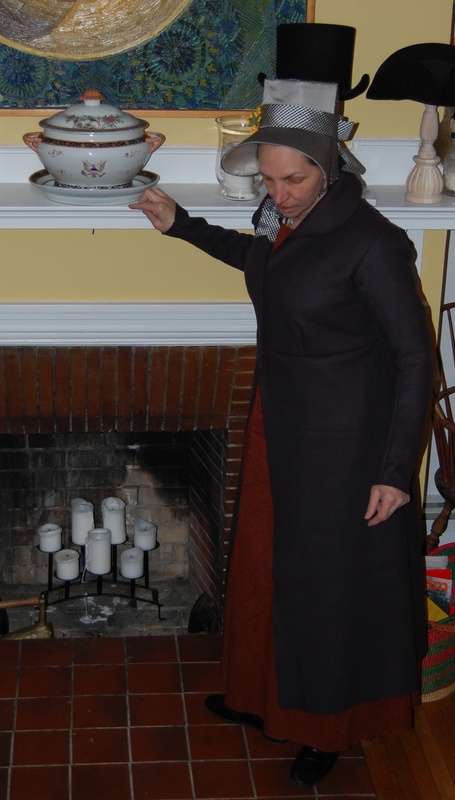 Two and three quarters yards were not quite enough at this length, though perhaps the coat does not have the close in the skirt. For $13, I think I’m still okay with where this is headed, though buttons will be the very devil. My finger tips are so calloused that working touch screens is getting hard, and silk thread practically shreds when I try to make deaths head buttons. It’s still too early to give in and buy buttons, but there will be swearing ahead. 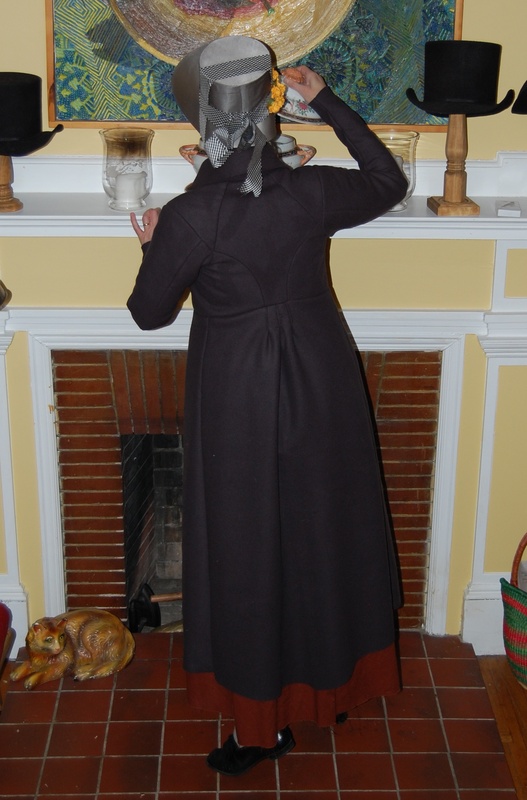 Back to the coat: there is enough wool for a cape or two, if one is pieced or false. It’s hard to tell how warm this will be, until the buttons are on and the body lined. Wearing it outdoors on Sunday did make me think about the wool flannel shift in a collection near me, and how nicely cozy that would be for winter.